The Gulf of Maine eco-region is bounded to the north and west by the coasts of Maine, New Hampshire, and Massachusetts, and to the east and south by the shallow contours of the Scotian Shelf and Georges Bank. Its rich waters include Cape Cod Bay, Massachusetts Bay, the coast of Maine, and Cashes Ledge. The lobster fleet operates out of small fishing ports that dot the coast, while the groundfish fleet is concentrated in Gloucester and Portland. The Gulf of Maine has experienced a series of booms and busts in the mix of species available to fishermen. Its groundfish industry once revolved around plentiful cod, but in recent years cod have declined in abundance and become concentrated in a portion of their historical range, in the western Gulf of Maine. Meanwhile, lobsters, which have always been a mainstay of Gulf of Maine fisheries, have become greater in numbers while shifting steadily north and east. Northern shrimp appear to be suffering greatly from warming waters, but a sea scallop fishery has grown in importance. On the coast, clam diggers are seeking to protect their prized soft-shell clam resource from the effects of invasive green crabs, and elver fishermen are taking advantage of peak demand in the export market. Some scientists say that the Gulf of Maine is warming faster than 99% of the planet. The area is also considered a hotspot for ocean acidification. As the effects of environmental change continue, Gulf of Maine fishermen are taking advantage of new opportunities and grappling with the effects of loss. 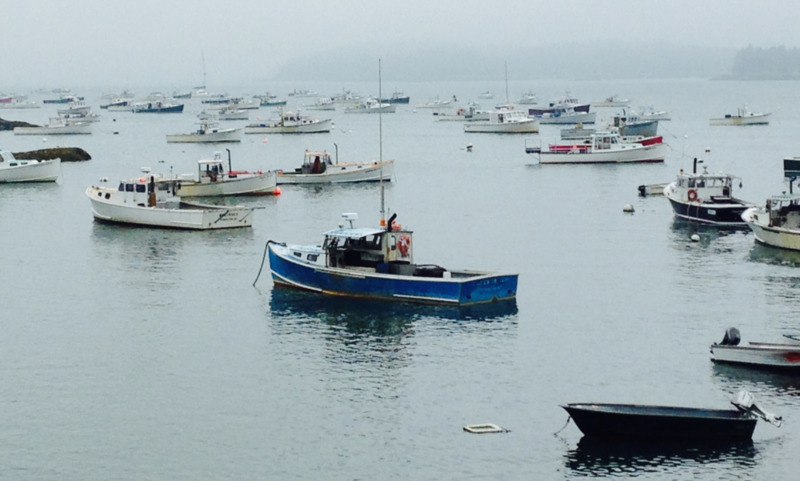 For the latest updates on the Gulf of Maine, take a look at these recent news articles.